Oh no! A breakout at the prison in the Hero Factory has caused all of the most dangerous villains in the galaxy to escape! Furno, a veteran hero from the Hero Factory, has gone on an underwater mission to catch n’ cuff the evil Jawblade, a dangerous robo-shark who knows how to throw his punches! Equipped and armed with a plasma gun that really shoots, harpoon, and aqua jetpack, Furno is ready to cuff all the villains who mess with him! And using his jet-powered, villain-seeking hero-cuffs, Furno will stop all those villains from making a move! 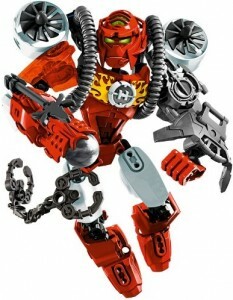 This highly flexible Lego action figure features a unique decorated chestplate, plasma gun that really shoots, harpoon, aqua jetpack, and hero-cuffs! 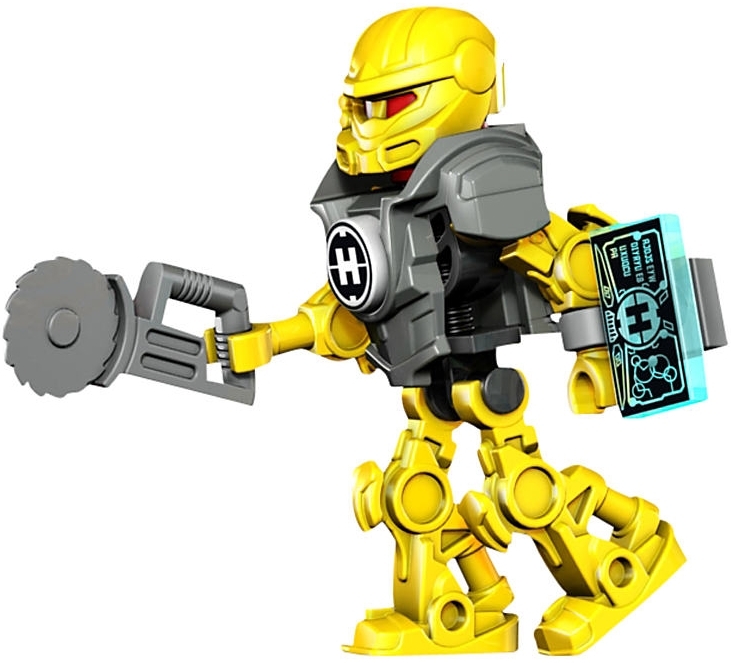 Plus, Furno’s hero core on his chestplate has a special code on the back that can be entered in the online 3D Lego Hero Factory Breakout game, to give you 300 game points! Combine with Lego Hero Factory Jawblade to make a cool combo model! Catch n’ cuff the villains and keep the galaxy safe with Lego Hero Factory Furno! Includes 56 Lego pieces. Oh no! A breakout at the prison in the Hero Factory has caused all of the most dangerous villains in the galaxy to escape! Furno, a veteran hero from the Hero Factory, has gone on an underwater mission to catch n’ cuff the evil Jawblade! Lego Hero Factory Furno features a unique decorated chestplate, plasma gun that really shoots, harpoon, aqua jetpack, and hero-cuffs! Furno’s hero core on his chestplate has a special code on the back that can be entered in the online 3D Lego Hero Factory Breakout game, to give you 300 game points! Combine with Lego Hero Factory Jawblade to make a cool combo model! Lego Hero Factory Furno is over 7 inches (20 cm) tall!